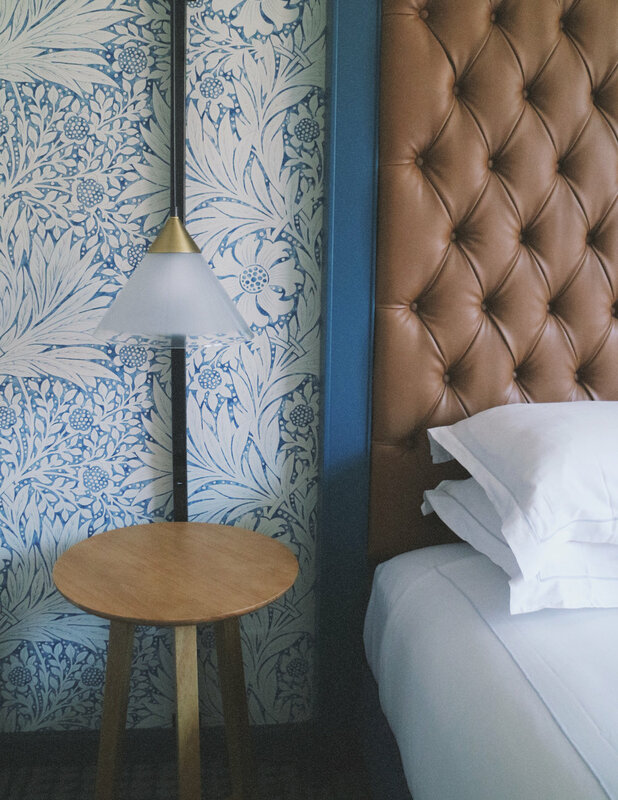 From check-in to brunch-in-bed the Kimpton Hotel Monaco Denver was an upscale treat in a mountain town. Denver is known for its mountains and incredible skiing. However, after spending a week there I found that it was more than just a ski town. 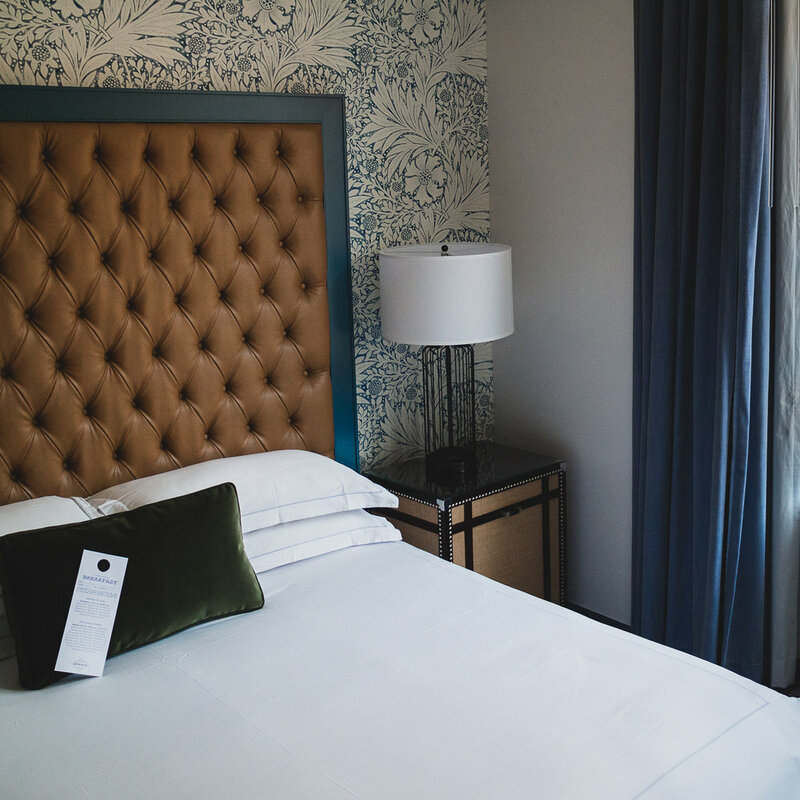 In the heart of the small downtown Denver was the newly renovated Kimpton Hotel Monaco. The moment I walked in I could feel the elegance. The lobby itself was beautiful. But the staff were friendly and the complete opposite of stuffy. Check-in was a little later in the day so I dropped my stuff off at the front desk and went for a walk. 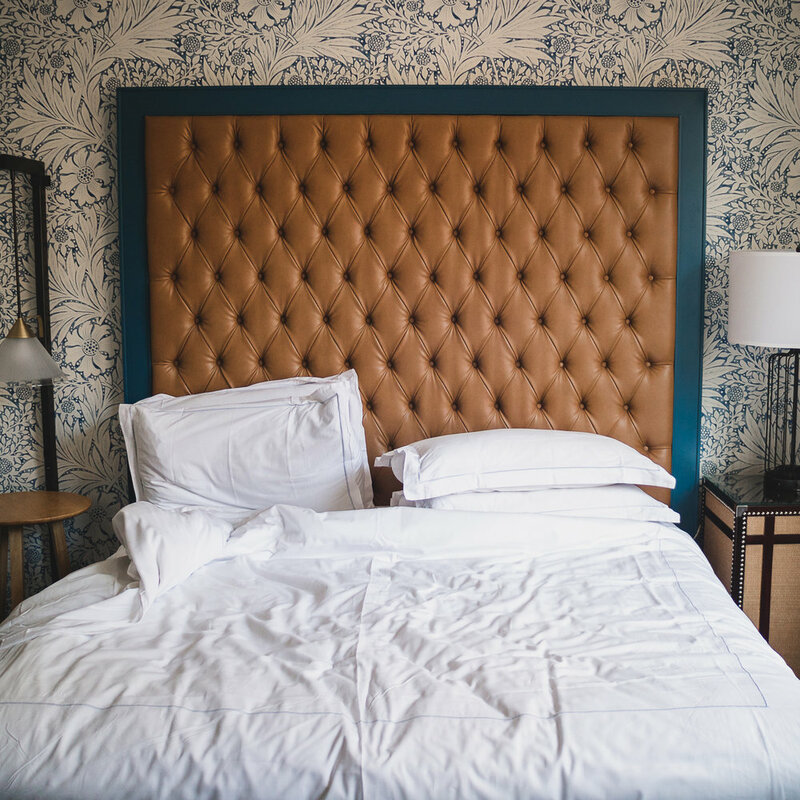 The Kimpton Hotel Monaco was close to everything you’d want in the city centre. From the dashing Union Station to the popular outdoor shopping centre (where I ended up of course). Everything was so close that when I got the call that my room was ready, I was able to walk there in under 10 minutes. With my key to the castle, I made my way upstairs to a room that made my jaw drop. It felt regal and I totally jumped on the bed. The suite started with a roomy entryway with the bathroom off to the left and a closet to the right. I made my way through the sitting area to the bedroom where I dramatically opened the curtains. The city-view was not what you’d expect from Denver. Across from an office building, it felt like I was in a quieter version of Manhattan. I loved it. After I explored the room I decided to freshen up in the decadent washroom. The design was a mix of modern masculine. I loved the bold contrast between the dark and white colours throughout the hotel room. The bathroom was no different. The lighting was crisp so I had a ball primping and getting cute. My favourite parts of the washroom included the gorgeous mirror (vain much?) and the walk-in shower. After my shower, I received a delicious charcuterie board and bottle of wine! The honey, mozzarella cheese and meats were heavenly. It was a lovely welcome delivery from the hotel that I appreciated. The bed was big and very comfortable. I spent the afternoon reading on my kindle and sinking into the mattress with my snacks. Soon I was off to the Panzano restaurant downstairs. The award-winning Italian restaurant is deserving of every accolade. I had an incredible experience and I can’t wait to share it in my review soon! I recommend that you visit the bar and restaurant if you have the chance to. Later that night I settled in and watched a few shows (an interview with Queer Eye’s Karamo Brown was on). And the next morning I had breakfast in bed. I ordered the Panzano Eggs Benedict and fruits. Like all room service it was expensive, but actually worth it. The smoked mozzarella in the polenta cake was way too good. I took the elevator to the gym and worked off that breakfast. Stocked with treadmills and weights I was able to get a pretty good workout in. 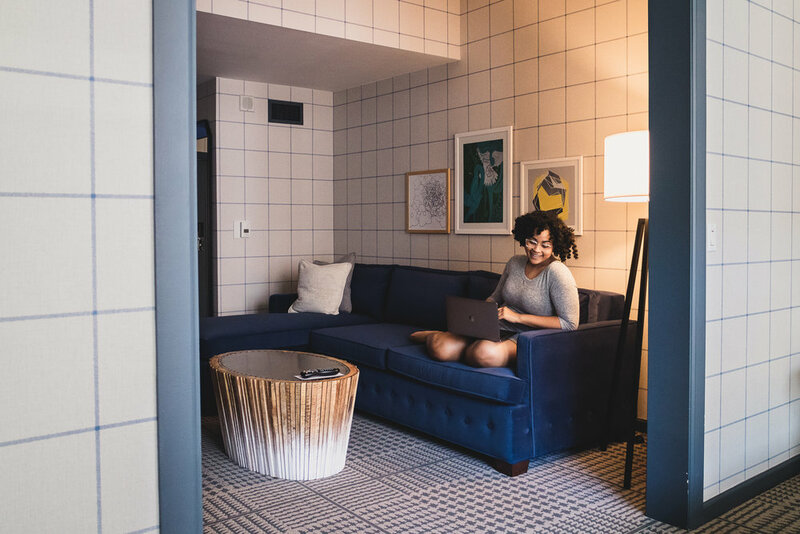 If you're looking for a chic hotel in Denver with everything you need, stay at the Kimpton Monaco Hotel. This charming hotel was more than a place to rest my head. It was an experience.